WTD01. Collection of the artist. Orange Blossom is an attempt to place striking contrast Orange against Blue. 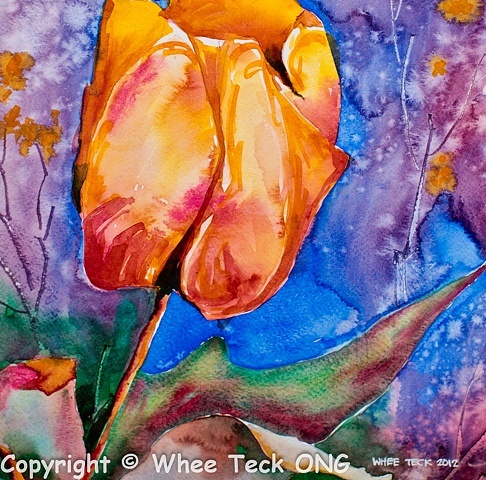 Whee Teck attempts to paint most of his flowers in simple complementary colors as complementary colors appear regularly in nature, i.e. Red flower against Green leaves. The lighting in the background suggests a moonlight scene.